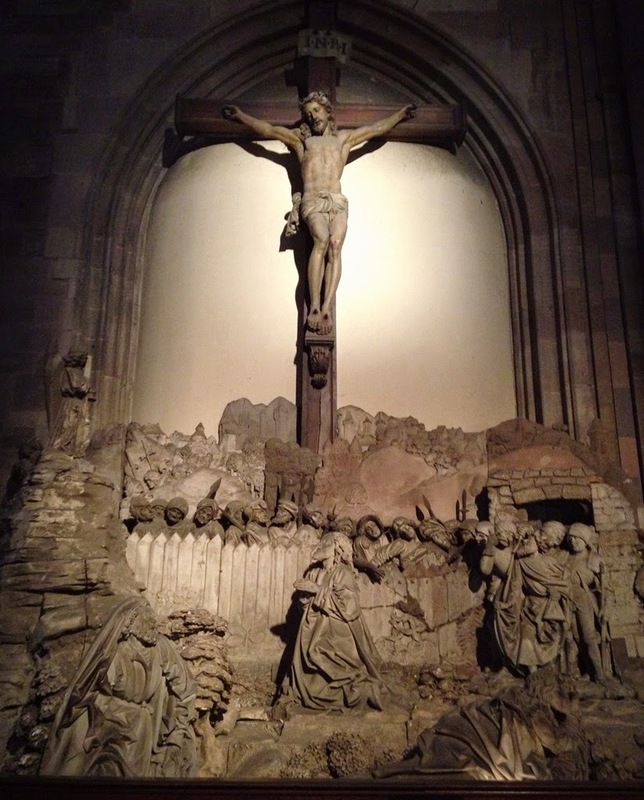 It's my favorite place in France, not Paris but Strasbourg. 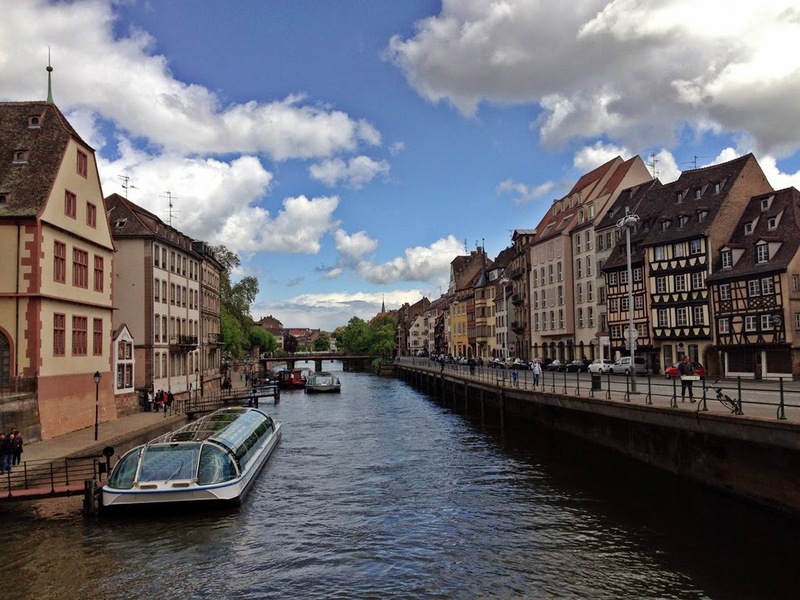 It was in Spring 2013, the first time I came to Strasbourg. 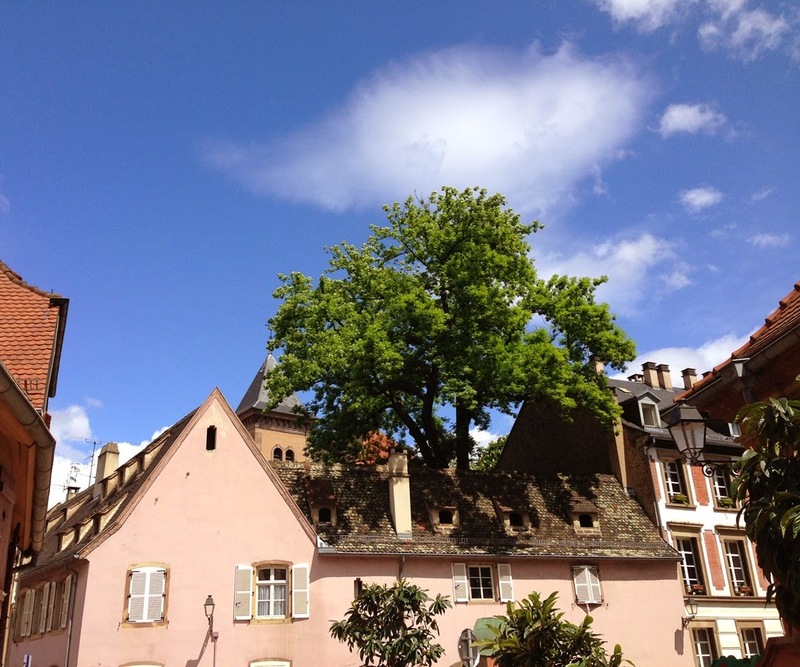 It is the capital of Alsace region of France. 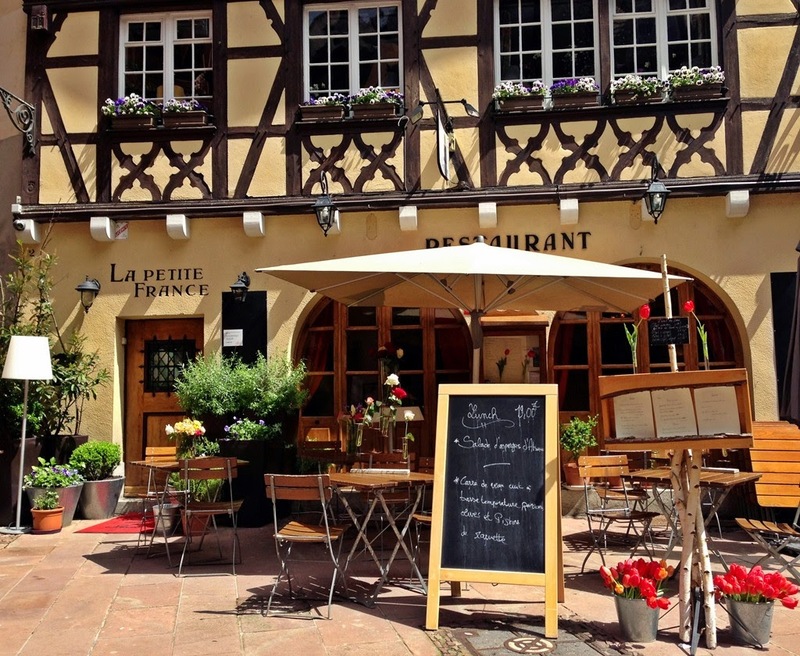 There are few places to visit in Alsace but Strasbourg is the most popular. I made a day trip from Germany. It took about less than an hour by train to get there from Offenburg, Germany. I arrived very early in the morning, the weather was really good. 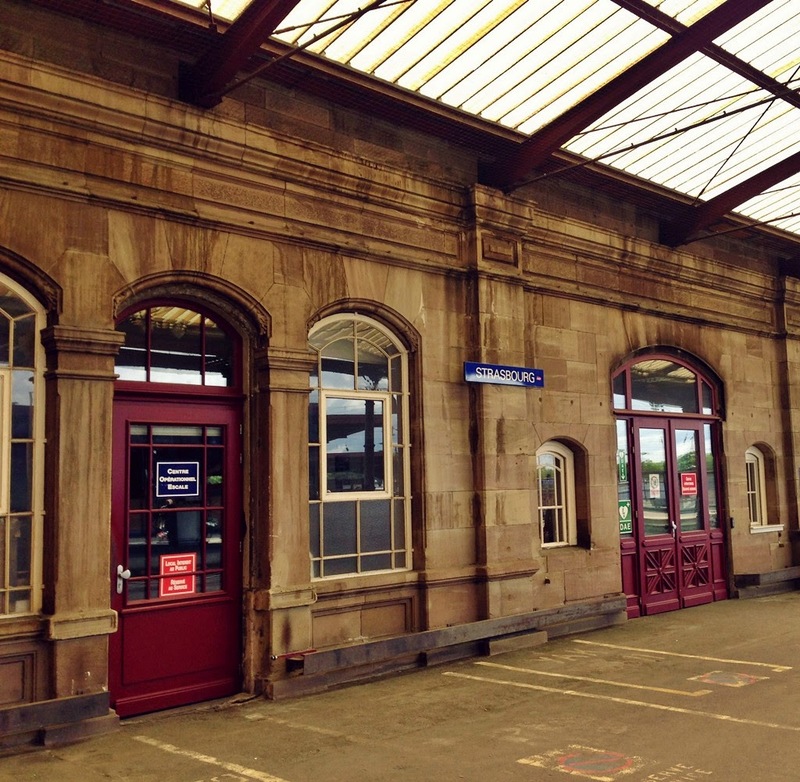 The architecture closely like some cities in Germany. I love old buildings, and so this city. Old town is a must visit for me whenever visiting cities in Europe. 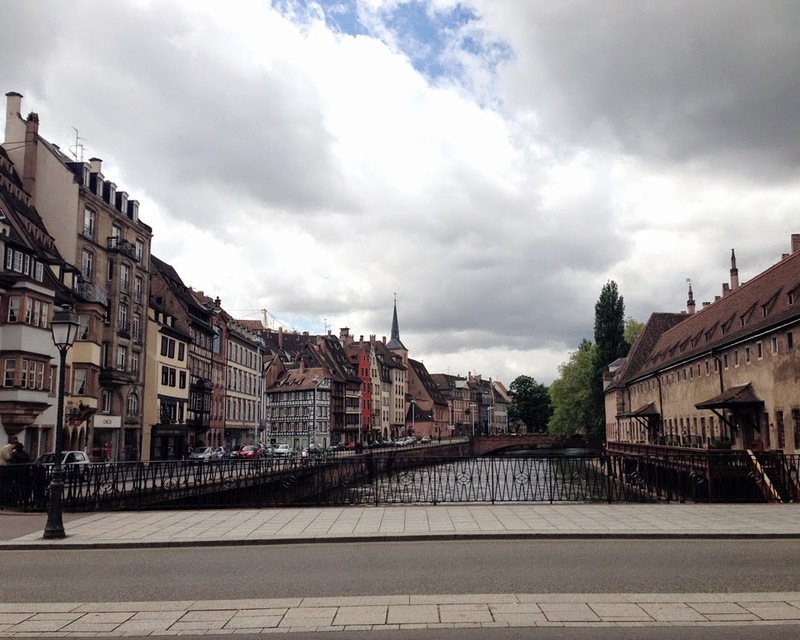 Strasbourg is a popular tourist destination, but I guess it is not so popular among Asian tourists. I rarely met Asian here, probably they're all going to Paris. Well, personally prefer Strasbourg. It's not so crowded, I still can find quiet spot in the corner to enjoy grab to go Flammeküche from street food stall. 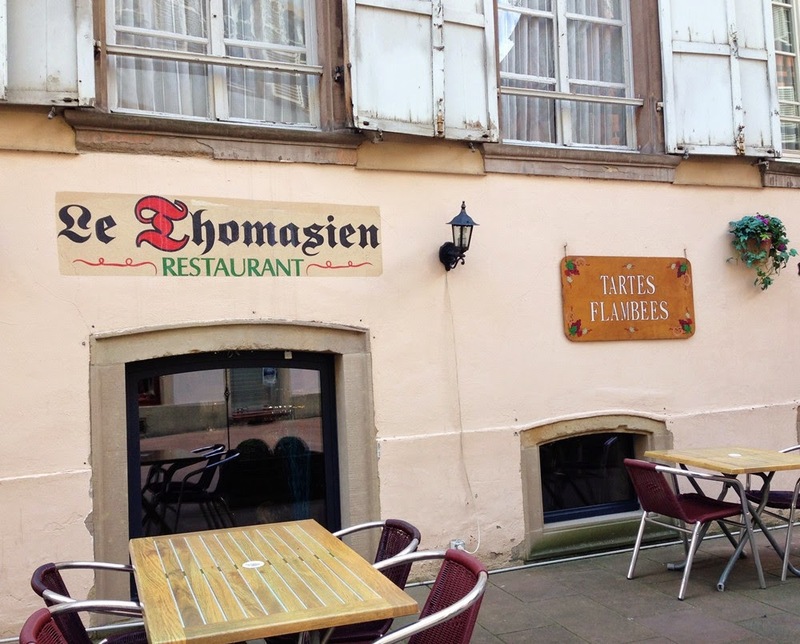 One of typical food from Strasbourg is Flammeküche or flams (tartes flambées in French) which is a thin pizza made with onion cream sauce. It is almost similar to pizza but usually in a rectangular shape. You can see it here for more details. 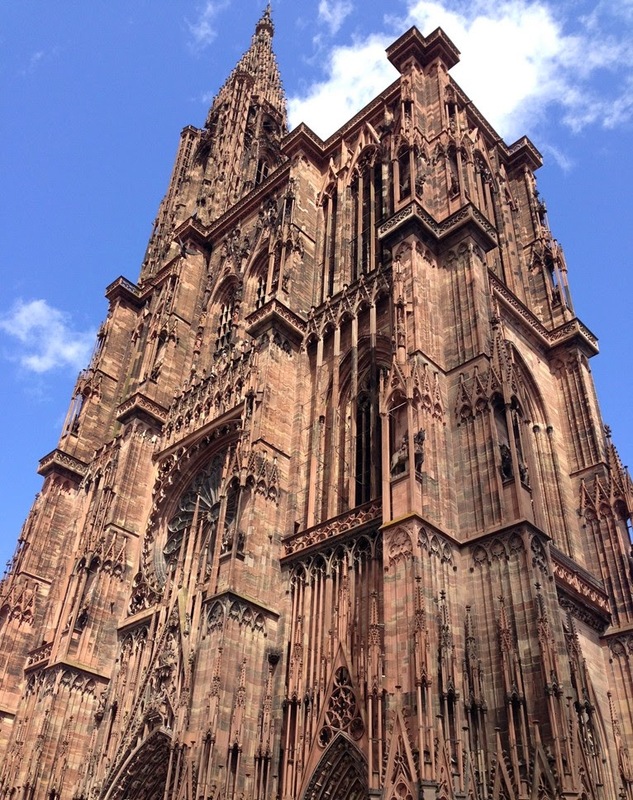 Must visit in Strasbourg, the Cathédrale Notre Dame. It's so beautiful, the architecture are amazing. I adore old churches, and so this church. It is open for public. Just like some other big churches in Europe that have astronomical clocks, this church has its clock's show in midday.